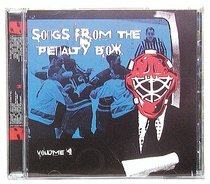 SONGS FROM THE PENALTY BOX is Tooth & Nail's best selling compilation series. This amazing CD features songs from twenty different artists, including all of the top Tooth & Nail artists, as well as rare and unreleased tracks that can't be heard anywhere else. About "Songs From the Penalty Box 4"